I wasn’t there at the conception and birth of the association in 1970-71, though my interest in the field was stimulated by the experience of interpreting for three newly arrived French students and their families at Maribyrnong High School in 1970. Many students at the school were staying at the nearby Maribyrnong Migrant Hostel nearby. There was no interpreter service then. As convenor of the French department I was called in to interpret at the enrolment interview and the students were placed in my Form 3 class. The school started an English class for new arrivals in 1970. Small groups had English periods in a cleaners’ storeroom with a new teacher whose qualifications were a double MA (failed) from Calcutta. The Senior Mistress spent much of every day dealing with conflicts between him and his students. My suggestion that the language teaching skills of the French teachers and the language laboratory be used as resources was dismissed out of hand. In the latter part of 1970, I attended a weekly part-time late-afternoon course in teaching English to migrants conducted by the late Michael Cigler at Monash University. He had been teaching intensive courses for Czech refugees who escaped after the repression of the Prague Spring in 1968 and I met Felicity Murray who was part of the program at Brunswick Technical School. An outline of the chronology of the formation and development of the association. I wasn’t aware of it, but according the report for the period September 1970 to May 1972 by Joan Hunter, Secretary, the idea of a specialist association emerged in April 1970. Negotiations with the secondary teachers’ Victorian Association for theTeaching of English resulted in a Steering Committee with a representative each from primary, secondary, technical school and adult sectors in September 1970 and in October a provisional VATESFL committee was elected for 6 months. It was chaired by Noel Will (technical schools), Secretary Judy Caproni (Curriculum & Research Branch) Treasurer J Spain (non-government schools) Hyrell Waten (Principal, Richmond Girls HS). 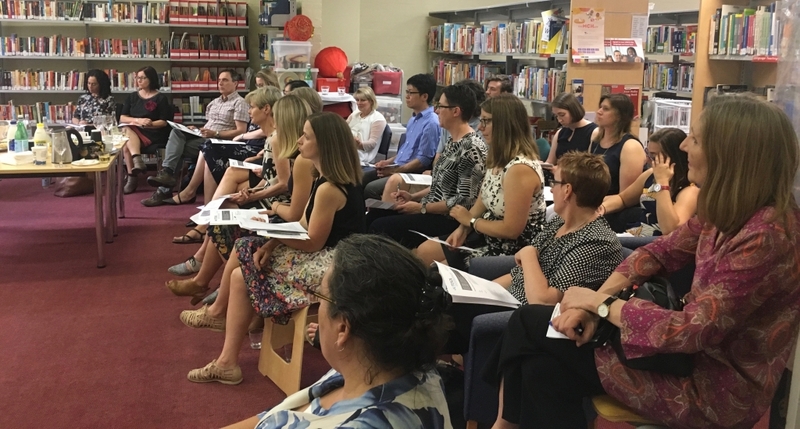 Ms T Christou & Ms N Orr (primary schools), Mustafa Refet (high schools) Helen Tebble (teacher educator, Frankston State College of Victoria) and Lisa Veltjens (AMEP teacher). The Association formed in October 1970 was originally the Victorian Association for the Teaching of English as a Second or Foreign Language (VATESFL). In March 1971, it voted to become the Victorian branch of the Australian Association for the Teaching of English as a Foreign Language which was formed in November 1970, but in September 1971 AATEFL adopted a constitution with no provision for state branches. We reverted to the name Victorian Association for the Teaching of English as a Foreign Language (VATEFL) with the committee elected in May 1971 presided over by Hyrell Waten and secretary Joan Hunter (RMIT intensive English). VATEFL and the Association of Teachers of Adult Migrants (ATAM) merged in 1972. Although the Adult Migrant English Program was set up in 1947, it was considered that school students would learn English by osmosis. By the late 1960s, a few schools in Victoria with high enrolments of students who spoke other languages were running specialist classes. After 16 years of lobbying which was initiated by the Victorian Teachers Union (of primary school teachers) as far back as 1954, the Commonwealth Child Migrant English Program was finally inaugurated in April 1970. Supernumerary teachers were appointed to schools (the state education departments were reimbursed for our salaries when they submitted quarterly reports). High and technical schools were given sets of the outdated Situational English textbooks for adults & Teacher’s books, a small set of Language Pictures, and some AV equipment. I am not sure promised audiotapes ever materialised. It also funded Child Migrant English Services in each state, a team of consultants/advisory teachers who ran one-day orientation programs for new teachers and occasional more extended inservice training programs. (CMES in Victoria was headed up by Allen Humphries who was appointed to the Curriculum and Research Branch in 1967). I was given three days by a Technical Schools Division inspector to visit other technical schools with programs: Collingwood, Richmond and Brunswick. There were no on-arrival English centres or schools, no bilingual/multicultural education aides, no interpreters other than a few who worked at Psychology & Guidance Branch. The states were mandated to provide classroom accommodation, but the Victorian Education Department wouldn’t and many schools couldn’t. In the early 1970s, most of our association members were lone teachers, many of whom had to teach our students in a corner of the library, broom cupboards, corridors, laundries, shelter sheds, the foyer of the toilets in one school. Eventually, the Commonwealth began to supply a few schools with a demountable classroom. I took up a position of the one teacher of English to newly/recently arrived migrant students at the fearful, hostile and violent Coburg Technical School in February 1971. There had been a teacher in 1970 who left without leaving very much useful material. As far as I recall, I joined VATEFL in early 1972 and attended monthly general meetings at the Victorian Teachers Union in Bank Place, participated in lively discussions and raised issues. The meetings covered a wide range of topics including TEAL pedagogy but also who our students were, their linguistic problems and their broader educational and settlement needs. Few of us had any specialist qualifications and I doubt there were any courses other than a Diploma at Sydney Uni to train teachers in TEFL for the Colombo Plan, the Australian government’s overseas aid program for British Commonwealth countries. I don’t remember any mention of migrant students or their English language learning and broader needs in my Dip Ed course in 1967, though Method of Modern Languages gave me an initial language teaching methodology. VATEFL meetings gave us practical techniques and tips, information about resources including people whose assistance I drew on in trying to meet the needs of my students who faced many barriers to learning English and studying in schools more generally. VATEFL provided us essential moral support for each other. Most VATEFL members in the early 1970s were the only teachers of English to migrant students in their school, though a few inner city schools had several teachers. VATEFL had a small, but growing library of books and teaching resources which we could consult and borrow. A lovely feature was Felicity Murray’s multicultural super suppers. In addition to knowledge gained from guest speakers & VATEFL colleagues, the Brotherhood of St Laurence book Two Worlds school and the migrant family published in 1971 gave me crucial insights, including the fact that it took most migrants 10 years to get above the poverty line, a measure that had recently been defined by Ronald Henderson at the University of Melbourne. I was first elected to the committee in 1973. Joan Hunter sent out a quarterly newsletter. In 1974, I was apprenticed to her. After we produced two issues jointly, I became newsletter editor and we began to publish eight expanded issues a year. VATEFL members very early wanted the association to act as a pressure group on issues such as finance for materials for schools, consultation with teachers on materials supplied by the Language Education Branch in Canberra and accommodation for our classes. We were considered very outspoken in Canberra. 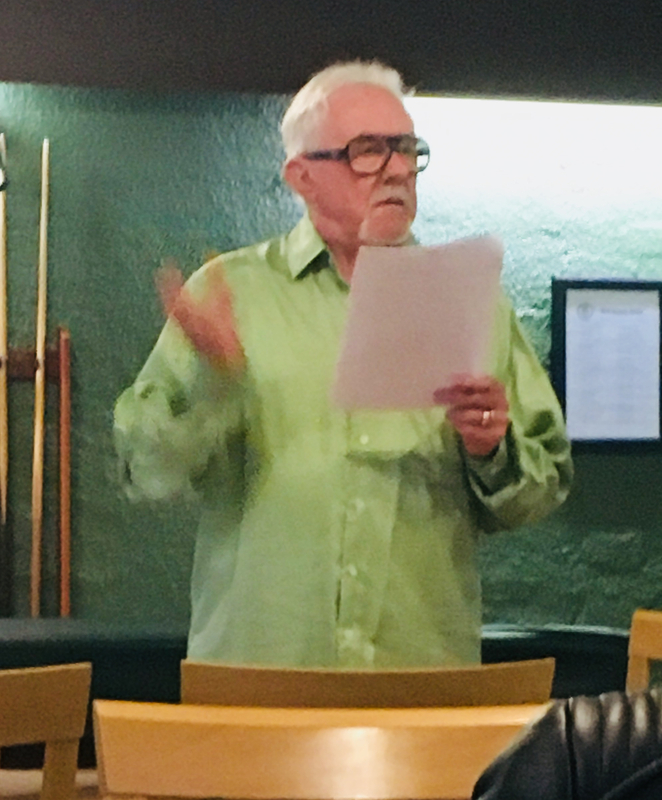 By late 1972, members Alex McKnight, Morag Loh and Robert Walker at Collingwood HS had developed an 8-page set of Thoughts and Recommendations on Migrant and Remedial English.Their principal Kath Watson gave a talk entitled Toward a Policy on Migrant Education at our April 1973 meeting . The recommendations on curricula and teacher-training were the first formal statements on early conceptions of multicultural education which were mainly about catering for the education (not just English) needs of migrant students, taking into account their cultural and educational backgrounds, knowledge and skills. We published the Collingwood HS Thoughts and Recommendations in the VATEFL Newsletter, May 1973. They influenced the 1973 VATEFL policy document. I think of VATEFL/VAME/VATME as an important part of a wider social, cultural and educational evolution over the decades. Federal government policy had moved after the abolition of the White Australia Policy from assimilation of migrants to integration to multiculturalism. Al Grassby, the Minister for Immigration presented an Immigration Reference Paper, A Multi-Cultural Society for the Future at a Cairnmillar Institute Symposium. The 1970s saw the establishment of the Australian Schools Commission. Its Innovations and Disadvantaged Schools Programs led to the development and funding of further ESL and multicultural education programs in schools. Migrants were moving from being subject to assimilation and being seen as people with problems to people asserting their rights and dignity as legitimate minorities in an ethnically plural society. From 1973, some VATEFL members were involved in Migrant Education Action which brought together ethnic communities and their allies in organising a conference and further campaigning for better provision at all levels. In 1974, our guest speakers included Bert Townsend then at La Trobe University who spoke about development of multiracial education in the UK and urged that our school curriculum should reflect the multicultural nature of Australian society and Dr Tony Knight of LaTrobe University who spoke on the sensitisation of teachers to the fact that Australia had become a multicultural society and that the curriculum should be modified accordingly. Member Alex McKnight, concerned about VATEFL’s small paid-up membership argued that we needed to broaden our appeal and increase our effective achievement of curriculum change to reflect the multicultural reality and that we change our name to Victorian Association for Multicultural Education. This was agreed at the re-convened AGM in August 1974. Alex and Helen Tebble led the discussions that resulted in a more developed policy for multicultural education. 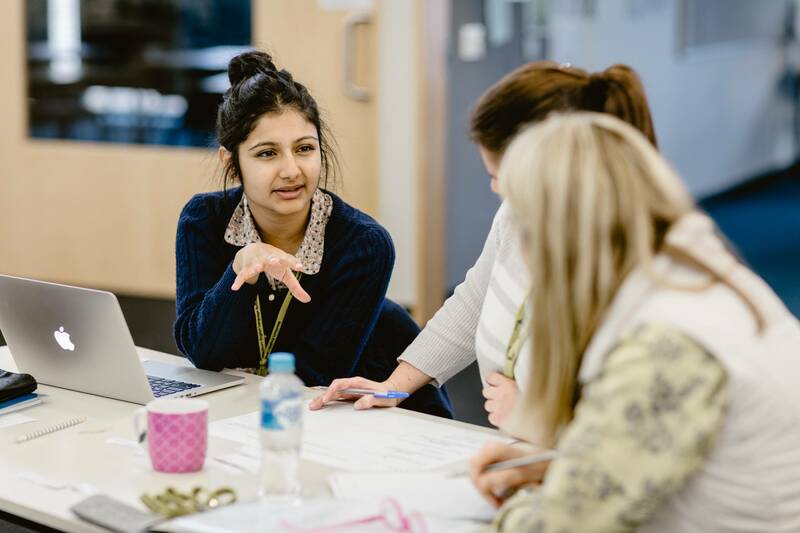 Over the years, the Association regularly updated and developed our policy, with English language teaching seen in the context of empowering learners to participate fully in institutions and public life . Our vision became education for all for a multicultural society. We were one of the groups who played a consciousness-raising role. From the 1970s onwards, members working in the government, Catholic and non-government schools and their bureaucracies, TAFE, teacher education settings and tertiary institutions influenced positive developments in TEAL and multicultural education. We worked together in a context of constant change in government policies, many of which were dysfunctional and worse, funding cuts more often than increases and developments in often negative public debates about immigration policies and literacy to keep TEAL and education for a multicultural society on the agenda. As Alan Williams wrote in 2013, this led to a huge workload for our active volunteer members in responding to calls for consultation, writing submissions often at short notice and lobbying with varying degrees of success. Sometimes we were co-opted onto official decision-making bodies and ignored at other times. There was a time after the CMEP was abolished by the Hawke government in 1988, that there was virtually no state bureaucratic support for TEAL in schools other than the on-arrival program. Key VATME members were able to stop it disappearing completely and managed to ensure provision for our students in VCE English and support materials for teachers. Teacher training institutions and the Victorian Ministry of Education implemented recommendations for the qualifications required by teachers of ESL, LOTE, Bilingual Education and Community Languages drawn up by a working party of VATME members from the 1985 State Conference on Teacher Education for ESL, LOTE, BE and CL which VATME co-sponsored. In 1982, people in the adult sector set up new association, VATESOL to cater mainly for the specific interests of people working in that sector. By 1985-1986, the two associations were organising joint activities until 1988 when there was a VAME/VATESOL trial marriage which was so successful that they merged in November 1988 to form the Victorian Association of TESOL and Multicultural Education. 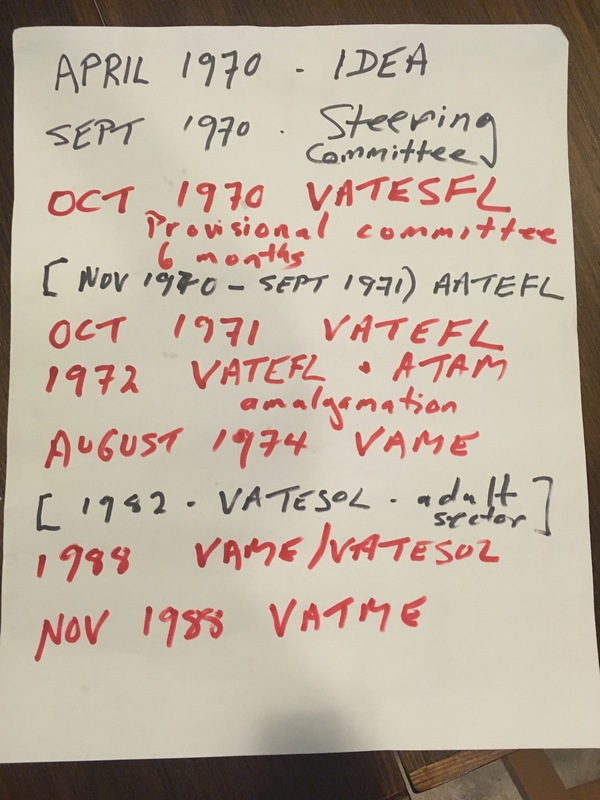 In the 1990s, VATME set up subcommittees to work on issues and plan professional development activities specific to the schools and adult sectors in collaboration with the executive and then initiated the positions of vice presidents for each. VATEFL/VAME/VATME helped to put our work on a more professional basis, gave teachers, our students and others in our field a voice through our advocacy work, provided and co-sponsored PD and materials development workshops face to face and through the Newsletter and other publications, kept members informed of a wide variety of resources. We organised miniconferences and VCE English for ESL Students PD days for teachers and student days. We contributed significantly to the establishment, policy and achievements of ACTA and TESOL in Context. We provided a network and became part of significant networks in civil society. The Association did all this on a voluntary after-hours basis before the first funded VATME positions for the schools sector 1991 and the adult sector in1997. I don’t have time this evening to mention more of our Association’s many achievements. On a personal note, the Association gave me the opportunity to work with and especially to learn so much from an extraordinary range of friendly, dedicated and inspiring people, a highlight of my working life. Tony Ferguson was a committee member from 1973 to 2000, president for six years altogether, and served terms as vice-president, secretary and acting treasurer. He was Newsletter editor from 1974 to 1998 and founding editor of TESOL in Context. Together with Jeanette Vadala, he developed the first VATME website in 1998-99. He was the first Extension Education Officer for the schools sector 1991-2000.